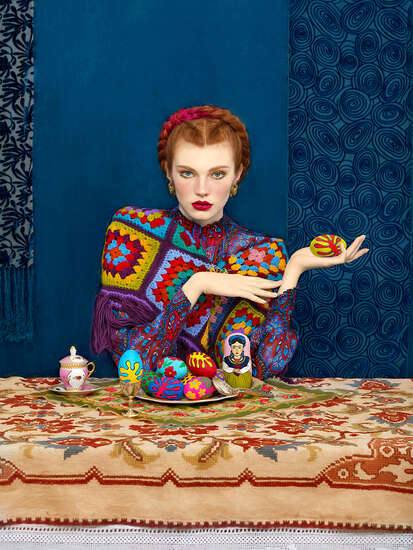 Classical painting, Dutch still lifes, and high fashion collide in extraordinary compositions that have brought the artistic duo Andrey Yakovlev and Lili Aleeva international recognition. 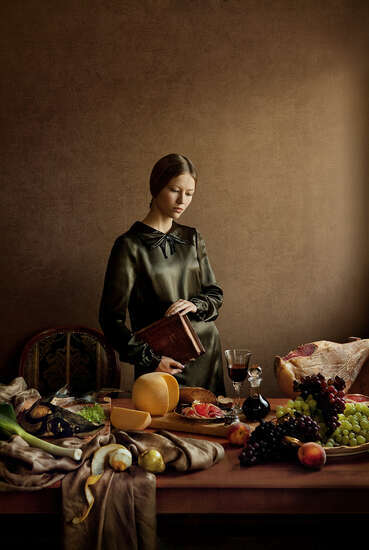 Their works combine their individual talents in equal measure; Aleeva, the Art Director, designs and builds the scenes, and Yakovlev photographs them. Clear facial features and a piercing look. 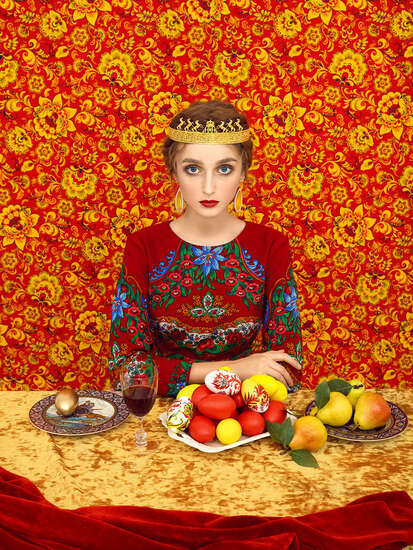 Dress, headscarf, and lips the same impressive shade of red. 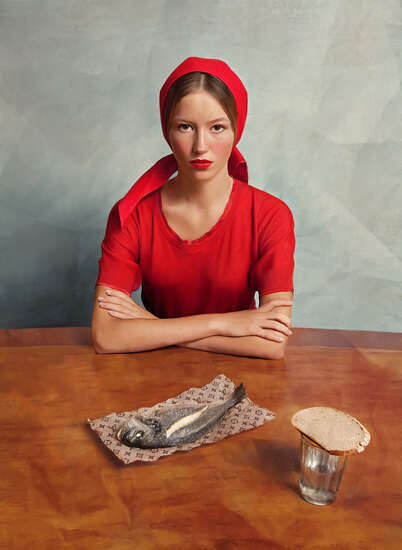 Upon first glance, the composition appears to be as simple as its name: “Girl with a Fish”. On closer inspection, however, the artists’ finesse emerges: We notice the silvery sea bream is resting on nothing less than a piece of tissue paper decorated with the famous Louis Vuitton emblem. 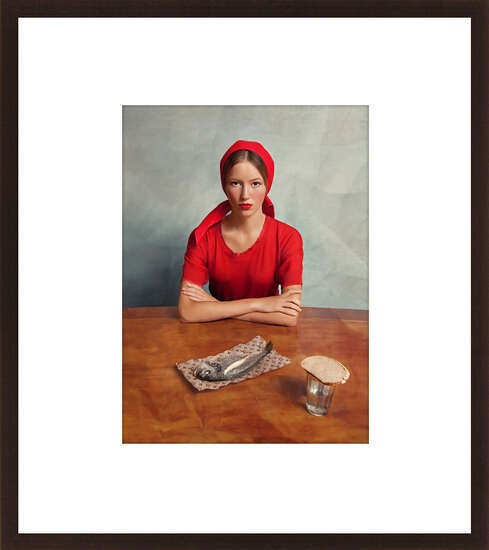 The colour, composition, and materiality are suggestive of the Russian avant-garde movement, and the image is reminiscent of Kusma Sergeevich Petrov-Vodkin’s “Girl in red headscarf”. 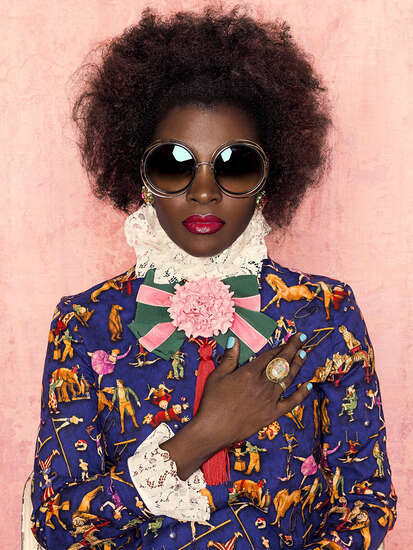 While “Girl with a Fish” impresses through its minimalist style, other works in the “Gallery” series are characterised by opulence. 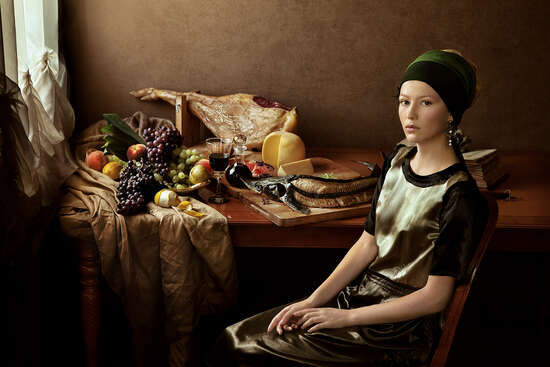 The artists present two classic beauties in silk dresses in front of a table laden with culinary delights. 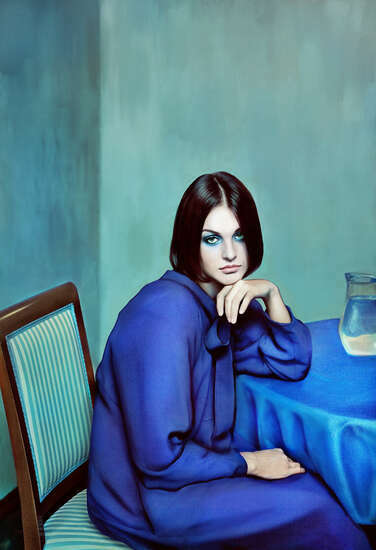 Facing the viewer, the models are enigmatic and mysterious. 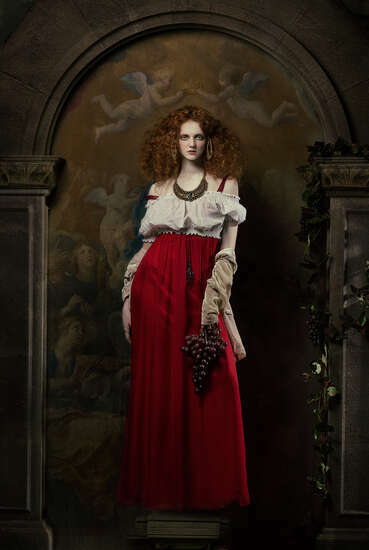 Nothing in the image is left to chance; carefully draped, the curtains and tablecloth complete the composition. 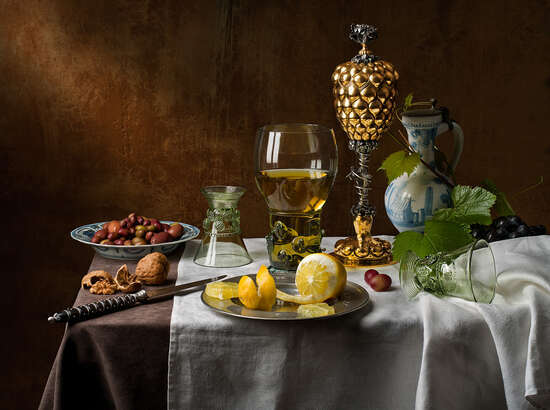 The photo’s subjects evoke the paintings of Jan Vermeers and Pieter Claeszs. 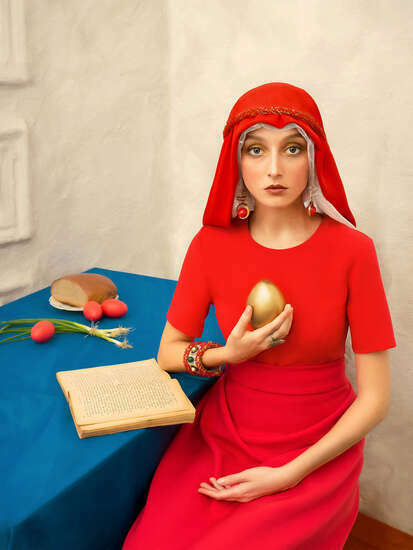 Playfully constructed references to art history, the translation of traditional images into modern ones – that’s what makes the works of Yakovlev and Aleeva’s so powerful.